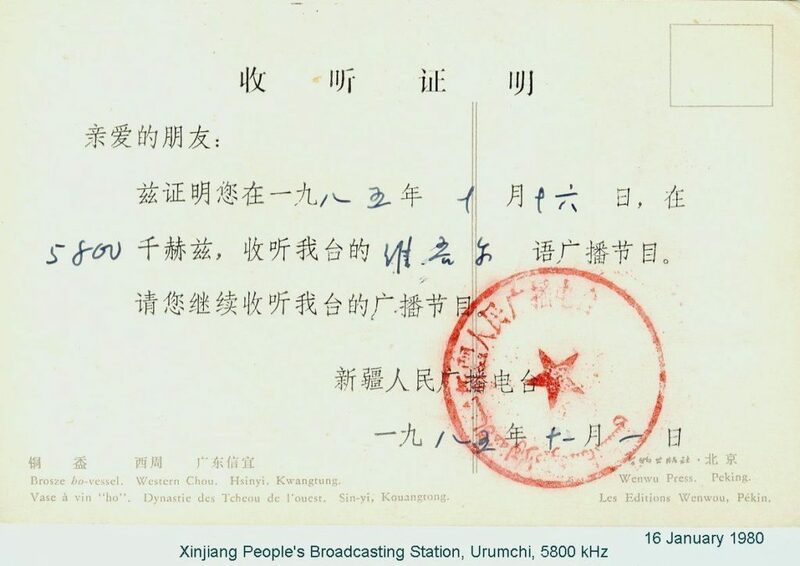 Xinjiang People’s Broadcasting Station (新疆人民广播电台, Xīnjiāng Rénmín Guǎngbō Diàntái) is the name of a radio station which broadcasts from Urumchi, China. They broadcast programs in Uyghur, Chinese, Mongolian, and Kazakh languages. 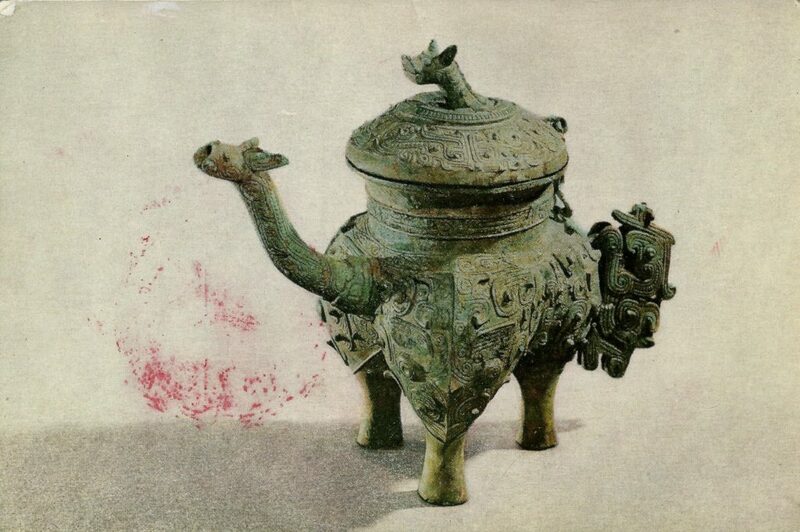 They were heard in Spokane, Washington in 1980, and replied with the all Chinese language QSL card and letter below. 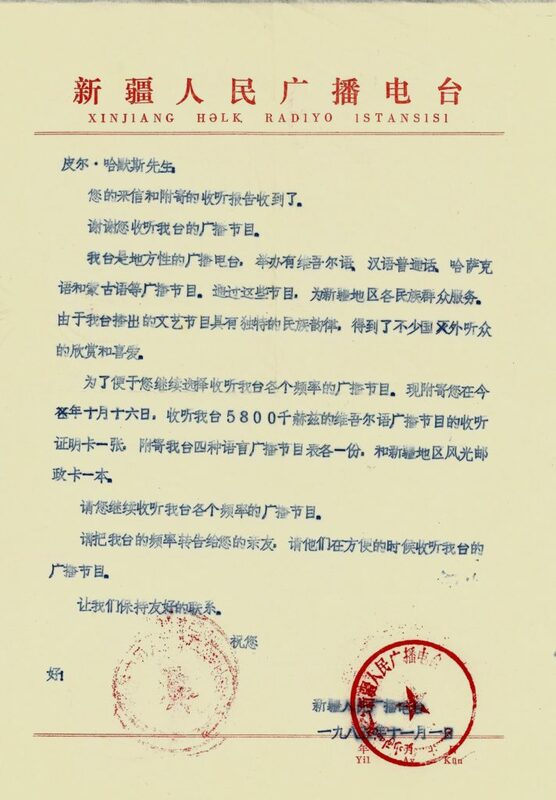 I cannot read Chinese, but a friend who does told me that they did indeed verify my reception report for their transmission on 5800 kHz.